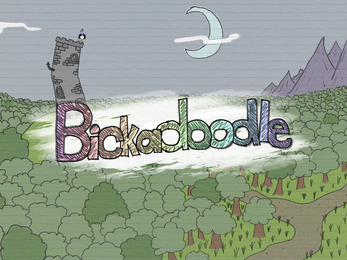 Bickadoodle is a short adventure made with the Wintermute Engine in 2013. 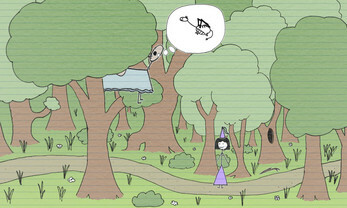 It's a comedy stick-man fairy-tale with a twist. Laugh! Vanquish evil! Use magic potions! Quest for treasure! 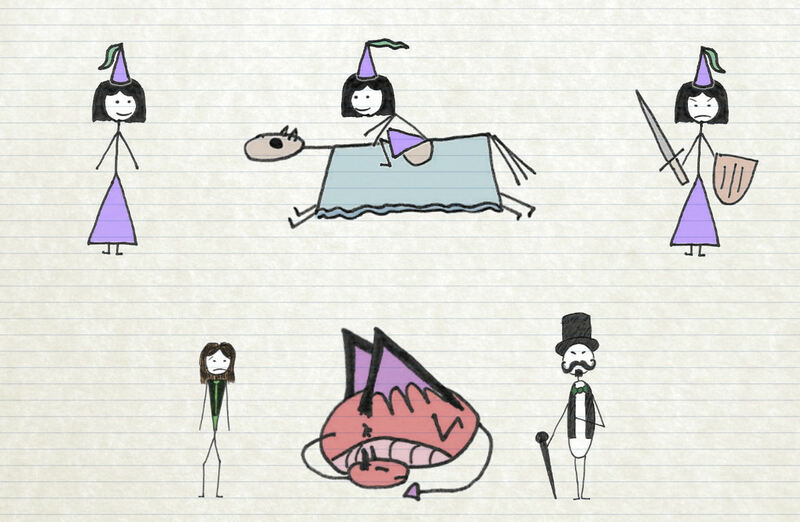 Ride your very own horse! Maybe find true love? 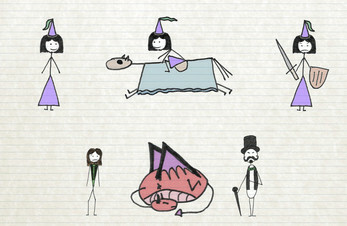 12 screens of badly hand-drawn art! Full audio mumbling, including 1 word that is almost intelligible! 4-legged player vehicle with uppy-downy animation and realistic coconut sounds! 'Gee, I didn't see that coming' surprise ending! Nearly 20 min of original music that's actually quite good! 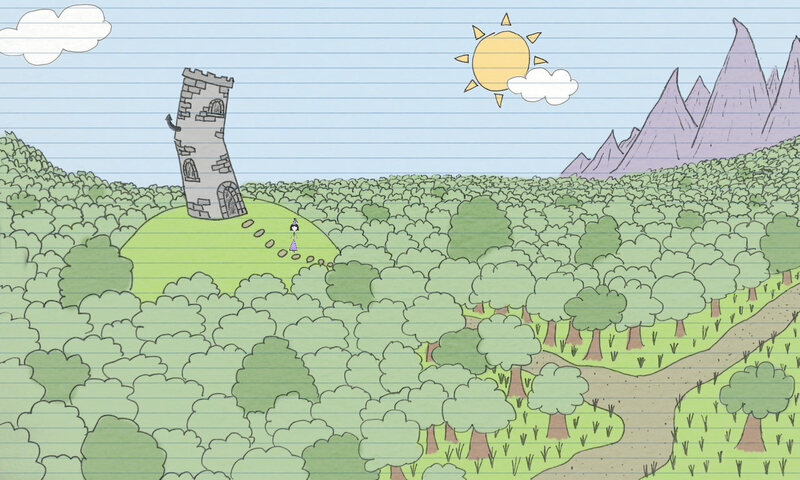 Featured in Rock, Paper, Shotgun! 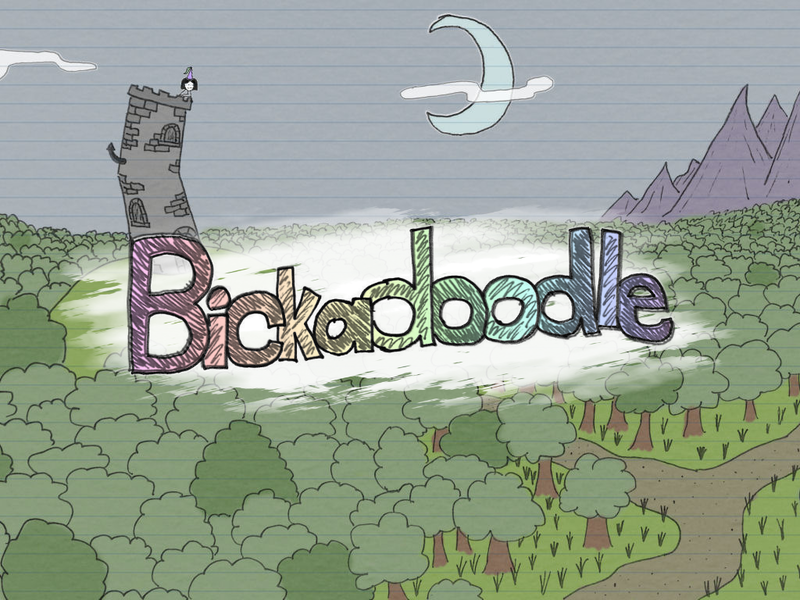 Bickadoodle looks like it was drawn by a 8 yr old, but it's actually only 5!